With 2008 having come and gone, Microsoft recently announced some impressive numbers for their Xbox 360. 2008 was historic in sales with more consoles, games and online entertainment sold than any previous year. Microsoft also noted that the Xbox 360 is setting record sales around the globe, most notably in Japan and Europe where marketshare has been almost doubled. 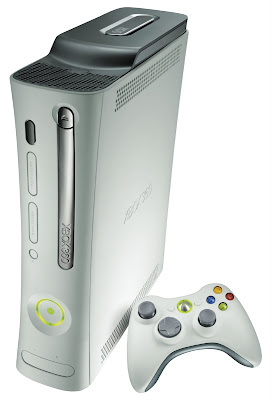 In Europe, the Middle East and Africa (EMEA), the Xbox 360 has now sold more than 8 million units. "For Xbox, 2008 will be remembered around the world as a pivotal growth year at retail and online — even in the face of tough economic conditions," said Don Mattrick, senior vice president of the Interactive Entertainment Business at Microsoft. "Worldwide, a record number of players flocked to our broadest games and entertainment lineup ever, while the New Xbox Experience thrilled millions of fans by making our console even more engaging. And yet, we've only provided a glimpse into the new world of interactive entertainment that we’re imagining. The best of Xbox 360 is yet to come." It will be interesting to see what 2009 brings for the Xbox 360 and if they can keep this momentum going, especially with the PlayStation 3 hot on its heels. Congratulations to Microsoft for the excellent results in 2008. I think we are truly living in a golden age of gaming right now. I'm looking forward to another excellent year of gaming, including some eagarly anticipated Xbox 360 titles.